We apologize,sorry to let you guys waiting for so long time to meet us to resolve your problems.Want to have some drink after work with your family or some friends nice and slowly,but,here the problems come,can not open bottle elegant and fluid,poke the cork into the bottle or let the liquid spills everywhere.Don't worry ,we can handle these,all of awkward that you encounter shall be go away and never come back.Opening wine will be pleasure,not a pinful. Besides, if you are looking for an exceptional wedding, anniversary or house-warming gift for companion parents friends or colleagues then look no further,we are the best choice no one of. 2 years warranty and 30 days money back guarantee,100% satisfied after-sale, risk free!!! Corkscrew is made of top quality steel for more strength and flexibility to make sure it can provide a long service time for you. 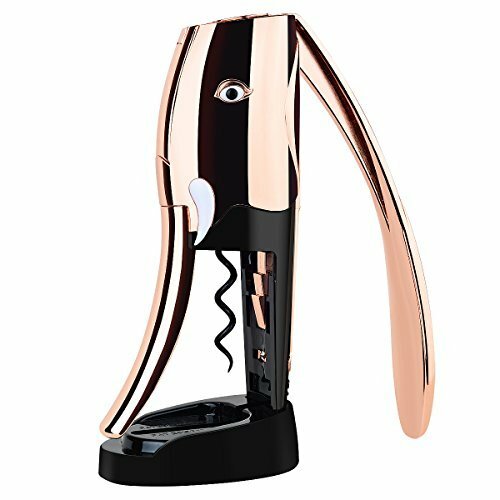 Specially designed sharp worm can go into the cork easily and guaranteed to efficiently remove any natural or synthetic cork with no breakage. If you have any questions about this product by MST, contact us by completing and submitting the form below. If you are looking for a specif part number, please include it with your message.